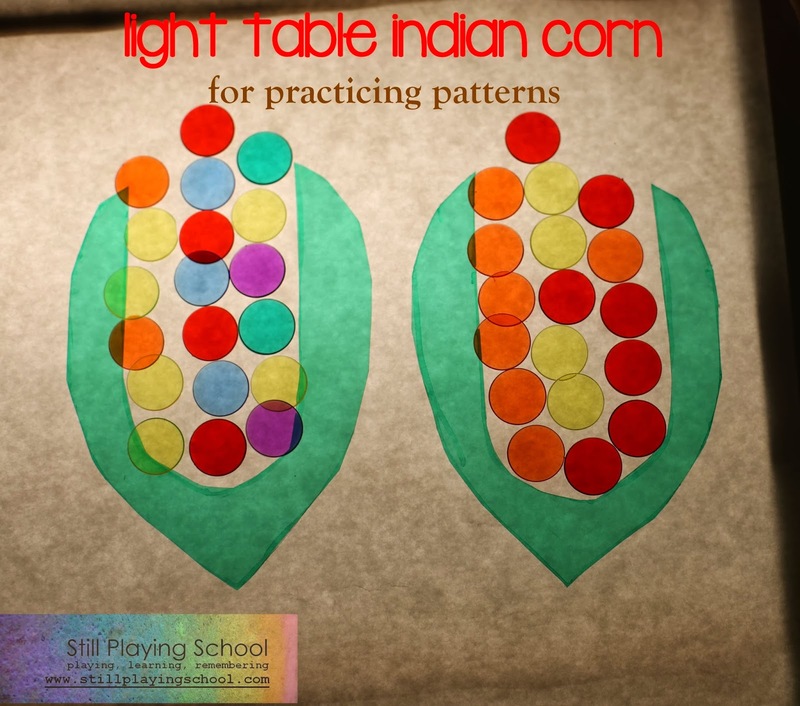 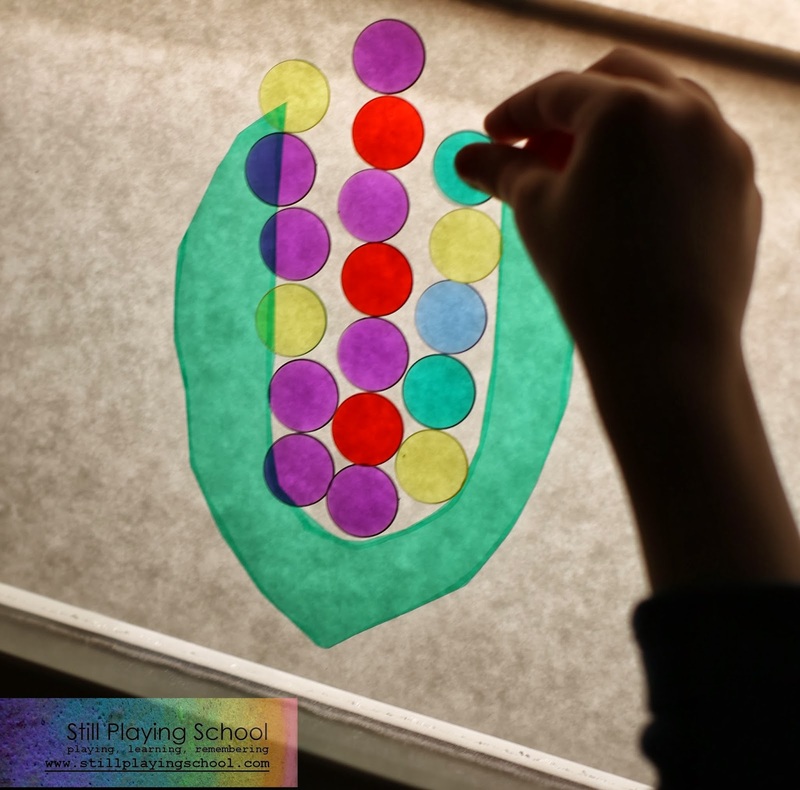 We created festive fall patterns on the light table by making Indian corn with transparent counters! 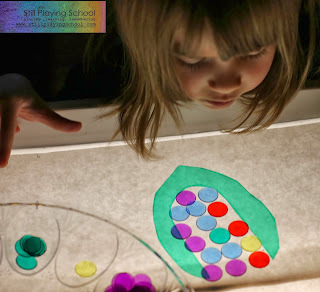 You could also do this off of the light table with regular colored chips. 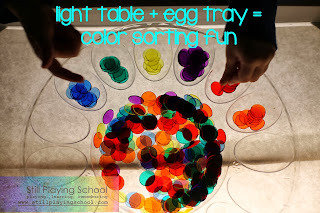 The transparent counter chips are perfect to sort in our clear dollar store egg tray. 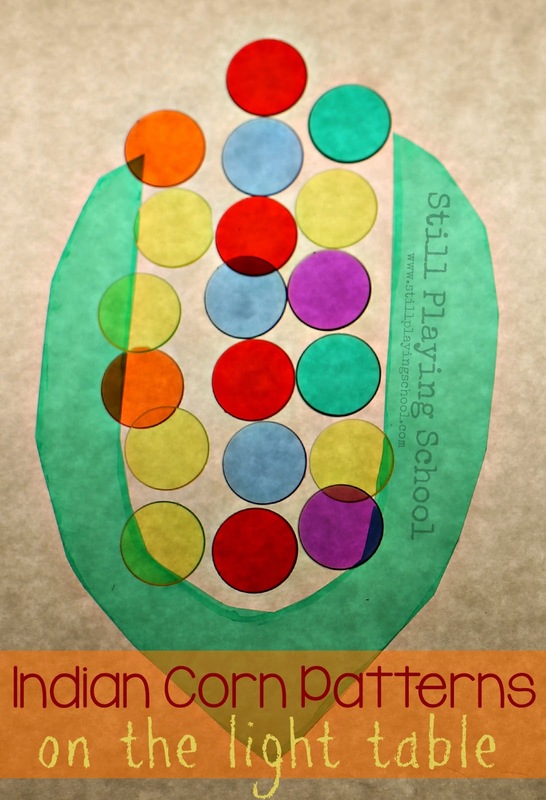 E liked to sort all of one color first, where I grabbed a bunch to sort all at once. I would begin an AB, AAB, or ABC pattern for E to complete. She also enjoyed open play time to make pretty corn with whatever colors she chose.